One day Nitro Champs – more explosive than ever! One of the biggest events on Sydney’s Dragway’s calendar will now be packing more muscle with an explosive one day format set to keep New South Wales fans on the edge of their seats. The remodelled format promises to deliver an explosive one-day event on the Saturday 7th May date, with the 400 Thunder Pro Series featuring on track at 3pm, 5pm and 7pm in a 3 round format. 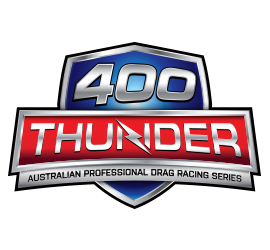 Sydney Dragway Management has also confirmed that selected Sportsman brackets will also be announced on Monday to support the 400 Thunder Pro Series for this event. Mr Beaumont also confirmed that Monday would see the opening of competitor entries for the Nitro Champs event that will be part of the 400 Thunder Series under IHRA sanctioning. “We will have more information and detail to come next week, to help our competitor group with their planning and logistics and of course, keep an eye on SydneyDragway.com.au for more details,” concluded Mr Beaumont. The 400 Thunder television program on Foxsports 5 will cover the Nitro Champs and live streaming will be available on 5stream.